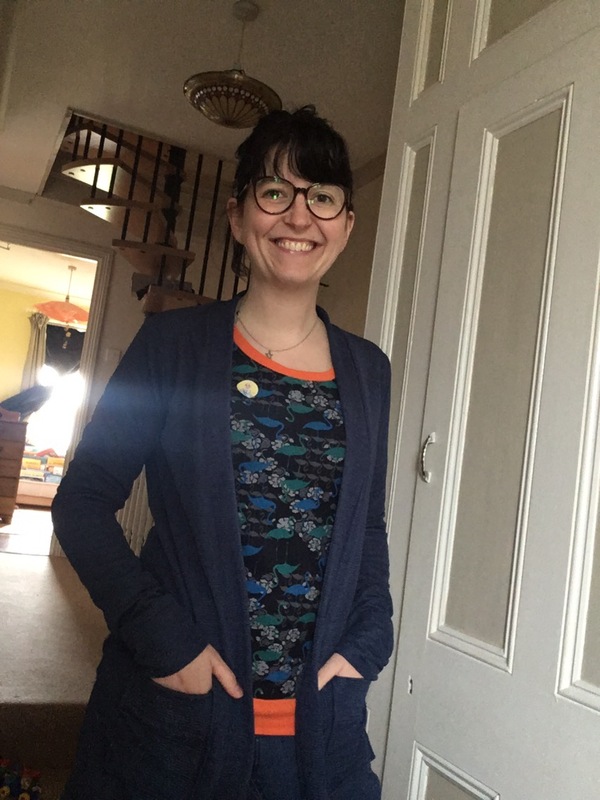 I was so excited to be chosen by the lovely Jennifer Lauren to review the Juniper cardigan. 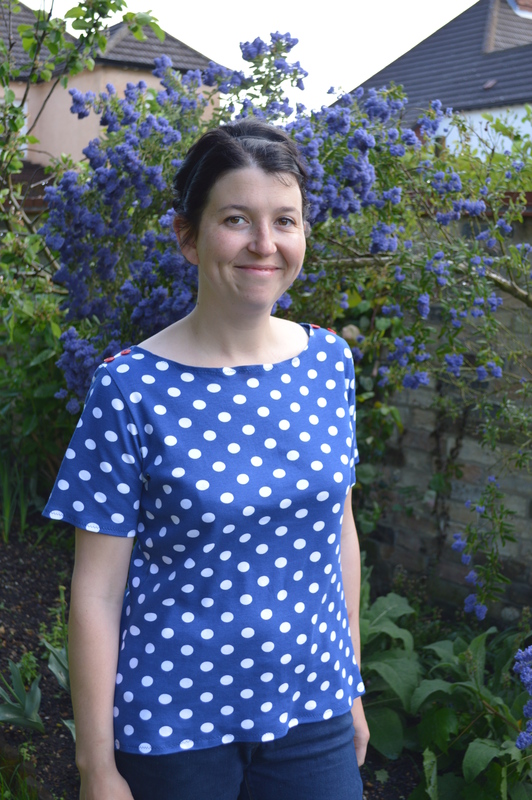 I’d been eyeing up this pattern for a while; I absolutely love the Gable dress and top! So, when I got the email through I did a little squeal of delight! I made my first in lovely grey Ponte, which came out a bit small- I cut a size 12 of View 2, the longline. I even treated myself to a biiiig set of snaps- any excuse to expand my sewing box! I messed up a bit with the snaps and because it was my first go it wasn’t perfect but I loved how it came together! Next I made View 1 in some lovely jersey from Girl Charlee in the next size up. I really like this version. I added 2 inches to the length (I’m 5′ 8″) as I’m never very comfy with tops which come up short. It came out so well! Perfect with jeans for doing all the running round I need. My seven year old, Martha, then suggested making a version with lots of different coloured snaps. Seeing as I’m an infant school teacher, I thought it sounded awesome! (She has put in a request for one EXACTLY this same now, seeing as it was all ‘her idea’!) I had some textured black stretch in my stash and so it came together in less than two hours! A credit to Jen’s instructions, for sure! Also, practice made perfect with the snaps- by doing the top and the bottom snaps and then doing the inbetweenies- it’s common sense to everyone else I expect, but I got there in the end! I really like this pattern; the instructions are clear and easy to follow, the construction comes together really well and the fit is good! I’ll definitely be making more, maybe some which are better suited to Spring, when it finally arrives! But first…. off to have a go at some other patterns from Jennifer Lauren Vintage that already in my haul. My husband really likes this and seeing as I already have the Auden pattern waiting, so it might just zip up the list. Well!! 2017 was certainly a bit of a year with one thing and another, but looking back over my makes this year has made me so happy! All in all, there are 70 makes on my list, of which 41 were for me. 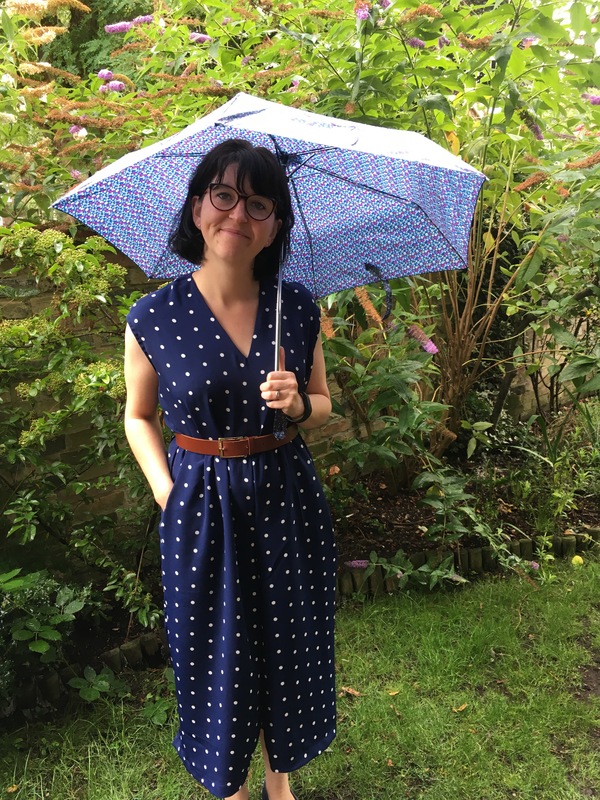 Some have been a real triumph and I have worn over and over again- Blackwood cardigan, Hudson pants, SOI Heather dress, Birkin flares, my first Moneta- and are definitely ones I will make again this year. Some of them have been things I thought I’d love but somehow I don’t really…. It’s made me think about how much use I’ll get out of the garment as well as the processes involved. I am definitely a sewer for speed, so my list has lots of quick jersey makes but I’ve also done better at making for work too. Bearing in mind what I’ve learnt about wearability, I’d like to try an Alex shirt which would be good for School, and a Mayberry Dress too. I have sooo many patterns that maybe I should have a no pattern rule too… plans, plans, plans. After being busy with family over the holiday, maybe it’s time to go and get started on something now…. I saw the Ready to Sew Jazz pattern when it came out a few weeks ago, and fell in love! 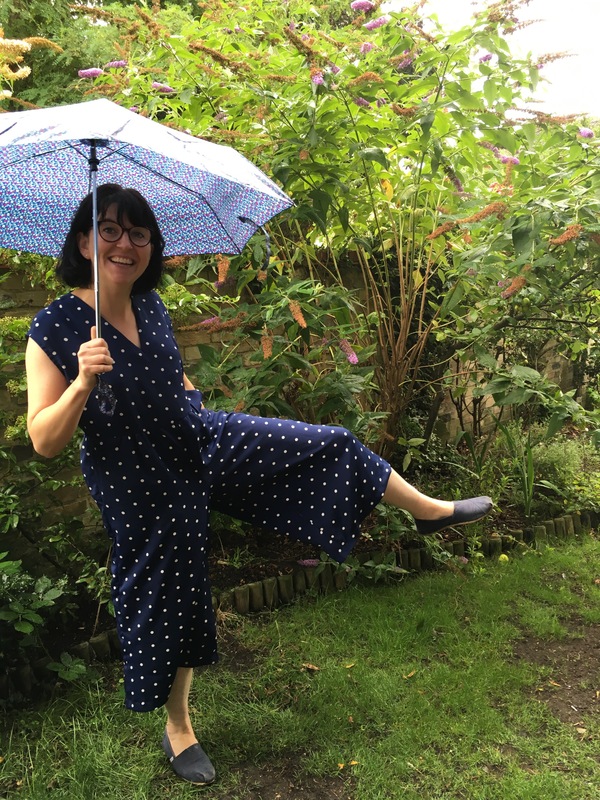 It’s not really my usual style but I thought I’d give it a go, having not made a jumpsuit before…. I used some slinky viscose-y material I bought on EBay years ago and never used.. and I can see why! It was a slippery little number and so when I cut the pattern it seemed to go everywhere, then when I sewed it was a bit of a nightmare! I can see why I usually use cotton and knits, much easier! The pattern is a beaut though, lots of options and possibilities, one I will definitely do again. It’s the first time I’ve used a Ready to Sew pattern and it was easy to follow, if a mega PDF to cut and stick!! I went for the sleeveless trouser option, but the others look lovely too. Now I just need a bit of sun again…..
Well, that was fun! My first me made May, and I managed to keep my pledge and wore more handmade than I had expected!! It was very revealing (oo er) as it showed what I need to be making more of- separates and things that work together as outfits. 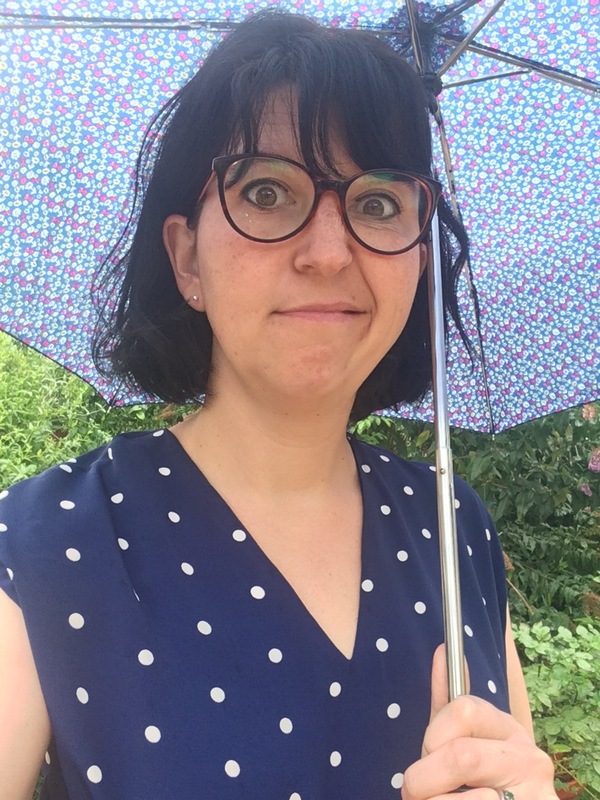 This is in contrast to seeing some yummy fabric, buying it, making something completely random and then not wearing it which is what I sometimes end up doing….Let’s see if I can keep to the resolution!! However, I’ve made some lovely things this month, including these Sew Over It Carrie trousers, which I am currently swooning over. I have done something new and cut out lots of patterns ready to sew when I can. Have yet to see whether this increases output or not. 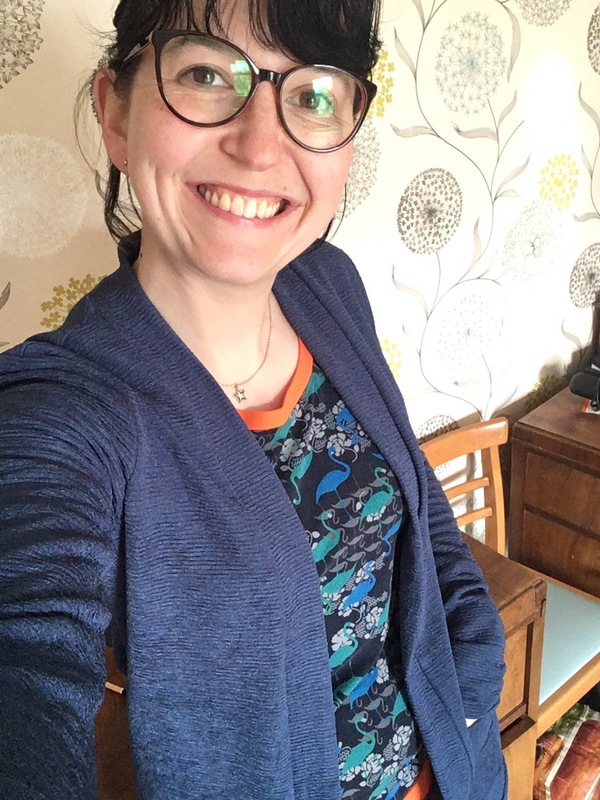 I’ve just made a Blackwood Cardigan from a pattern by Helen’s Closet. It kept popping up on my Instagram feed and I figured that at this time of year you really need something to layer up, so bought the PDF pattern. 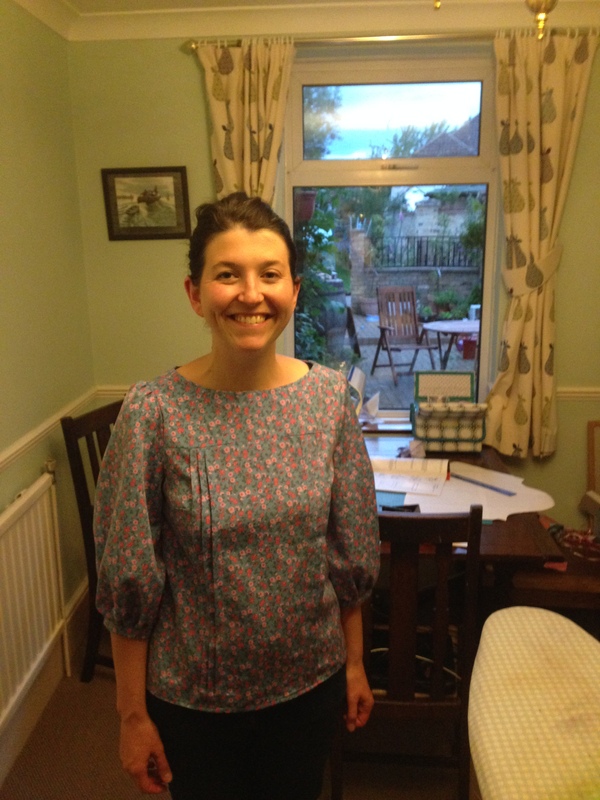 The instructions are mega clear, the fit is fab… the problem was my fabric choice!! 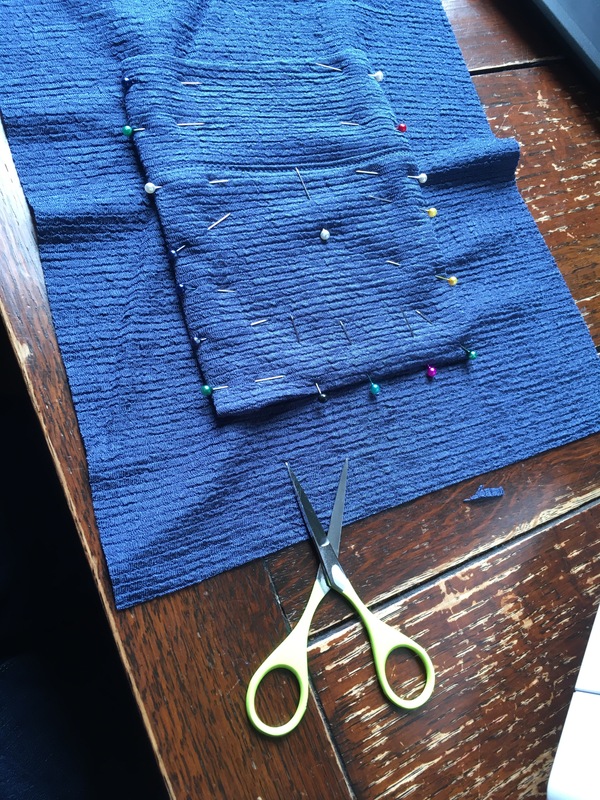 A strange polyester and cotton mix with little ribs on… it required serious amounts of pinning!! My main problem was that I couldn’t press it easily as it just didn’t respond to the iron!! However, with a little bit of swearing it all came together… plus I remember that I had some Wonderclips which were awesome! It fits really well and although the fabric was painful to sew, it’s made a nice drapery cardigan. 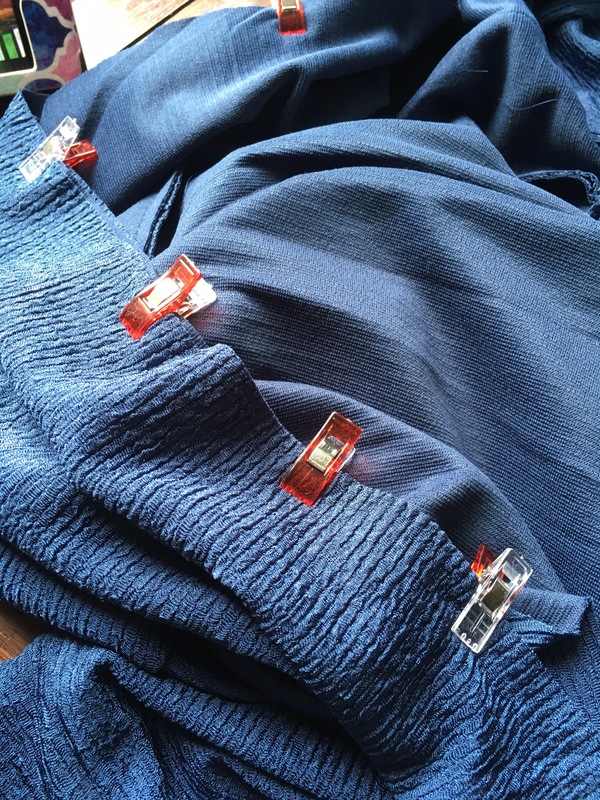 The fit is really clever around the neck, as you have to stretch when sewing so it doesn’t gape. Brilliant! Quick sew, why buy a cardigan when you can whip one up in no time!!! Plus, all the love for the pockets of course!! Well hello there! 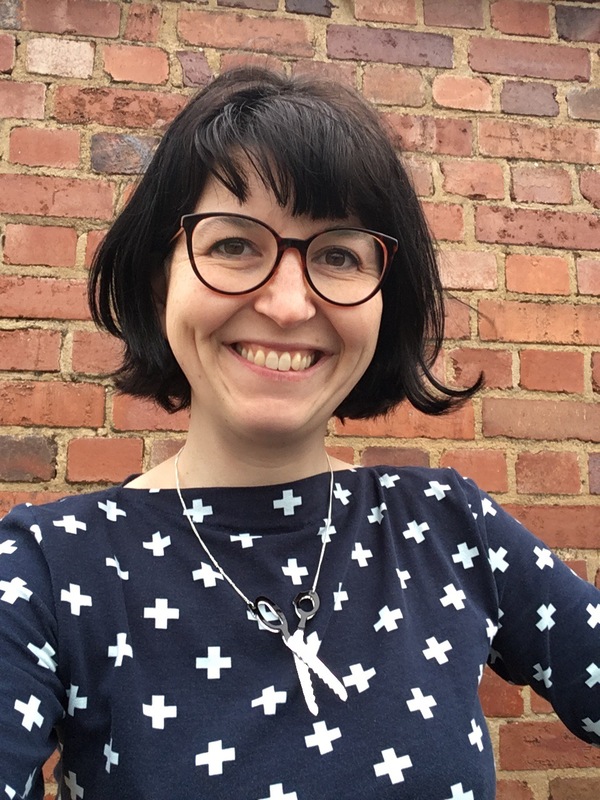 After dipping my toe into blogging a few years ago (how did that happen?!) I thought I’d have another bash! Have had lots of successes in the last few years (Tilly and the Button, Seamwork and Made by Rae patterns) and more than a few disasters (best to gloss over them I think!!) and have managed to do a bit of sewing this week, seeing as we’re on half term. Made a pair of Luna pants for my #respectfulniece and the Gable Top above, which I am completely in love with! The neckline is great, have bought the expansion pack so I can make a dress too- new favourite knit top! I found the pattern and instructions really clear to use. I am pondering whether to try something with a zip, or whether, if it goes wrong, I’ll be put off! Tilly’s new book, Love at First Stitch has clear instructions on this, so maybe I’ll put myself in her capable hands and bite the bullet!